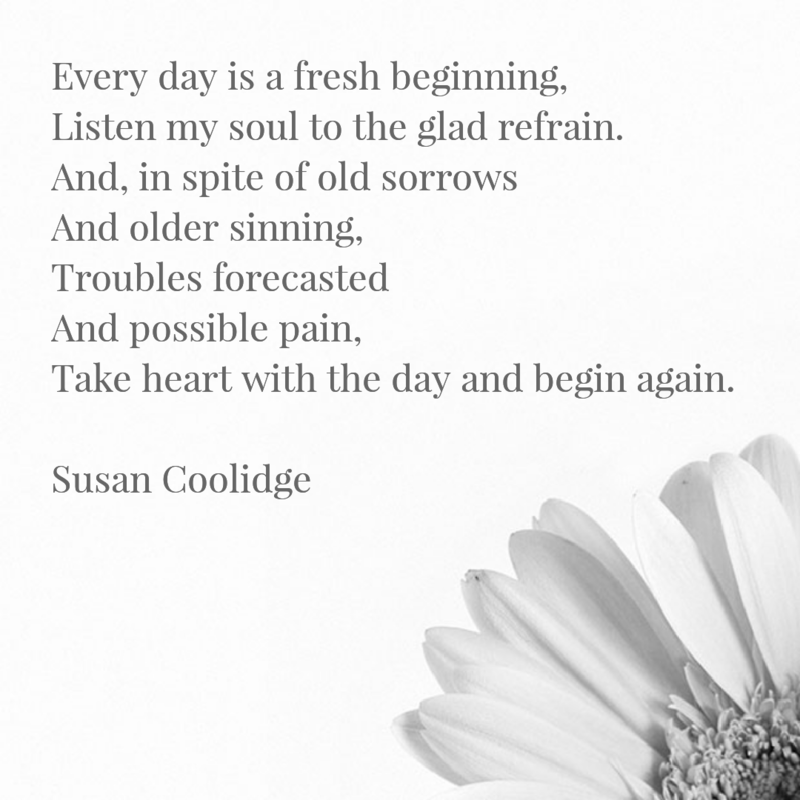 Here in London as the first day of the year is a few hours from it’s end, these words from Susan Coolidge’s poem ‘New Every Morning’ remind us to take the opportunity that each new day presents to begin again. The turning over in to a New Year is ever a reminder of this. You may be looking forward to new beginnings within your own families or striving to nurture the relationships that already exist. Personally I’m aiming for a daily meditation and getting back to daily practice which with work and life is always a challenge! In the meantime, we wish you good luck with all your 2017 goals.